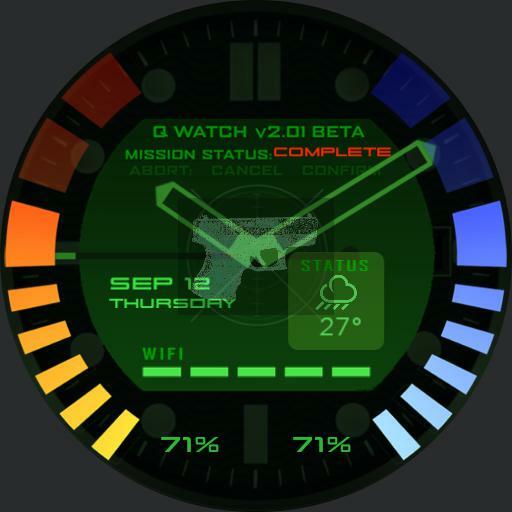 An interesting take on the classic Goldeneye 007 spy watch. Battery status, weather information and wifi signal available when the watchface is active and an inconspicuous normal watch when its dim. Inspired by Cody Karrikers work.